Nitrous Express Nitrous Kit - Direct Port - Hitman Plate System UNIVERSAL - Pann Auto Performance - San Diego largest aftermarket automotive performance parts - What do you drive? 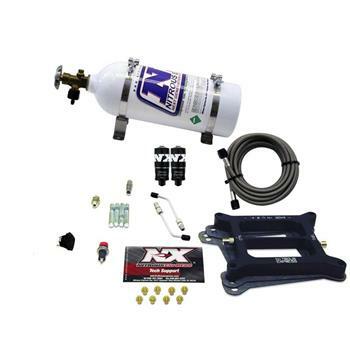 For the enthusiast who wants to use nitrous yet does not want to spend a lot of money, the “Hitman” is the way to go. Equipped with the latest Pure-Flo 45 bottle valve, stainless bottle brackets and the adjustability of three horsepower settings: 100-150-200. The Phase 3 series nitrous plates are the “Next Generation” in nitrous performance and reliability. This new innovation in nitrous plates provides superior distribution and outstanding atomization. With no spray bars to sag, split, block airflow, or damage this is truly the “Next Generation” in nitrous plate technology. 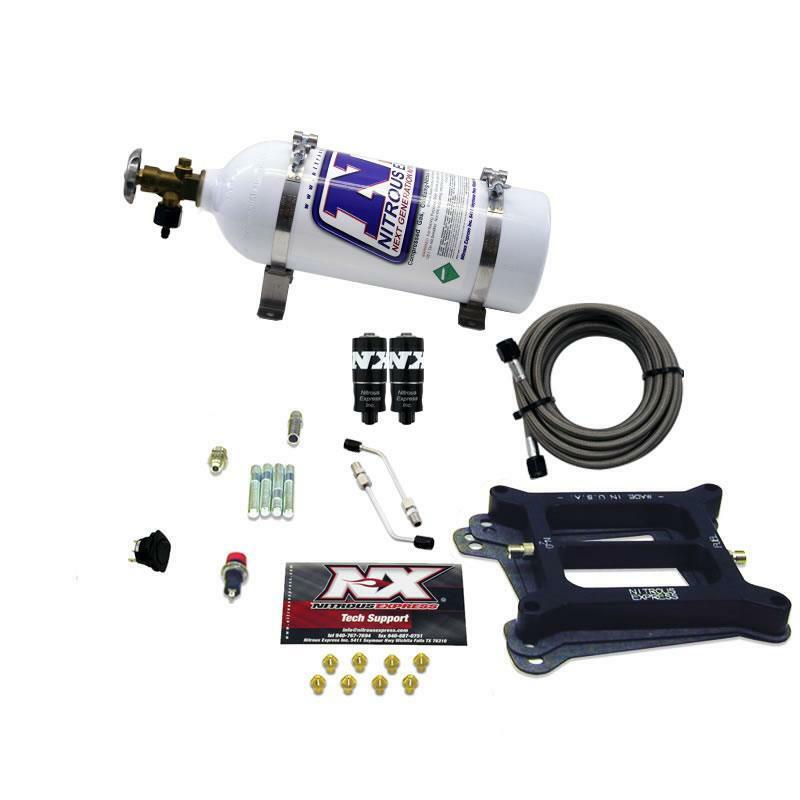 The “Hitman” is the perfect, low cost, introductory system for the nitrous novice.